Foam Cushion is soft and Comfortable to wear, Sponge Covers Fit Many Styles of Call-Center Headsets. 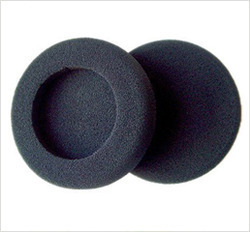 Owing to the wide experience in this domain, we are instrumental in offering Foam Headset Cushion to our clients. We are providing the first-class series of Sponge Ear Cushion. These are made by expert's team who has prosperous industry expertise and practice. 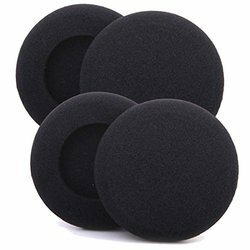 Our company has gained name and fame in presenting Headset Foam Mic Cushion. With sincere intentions to preserve and uplift our reputation in the market, we bring forth a distinguished assortment of Headphone Cushion . We are a renowned name, which is engaged in offering a wide and comprehensive range of Headphone Cushion . Backed by the team of highly dedicated professional and years of experience in the domain, we are engaged in offering a quality range of Headphone Cushion to our esteemed clients. Owing to the wide experience in this domain, we are instrumental in offering Headphone Cushion to our clients.